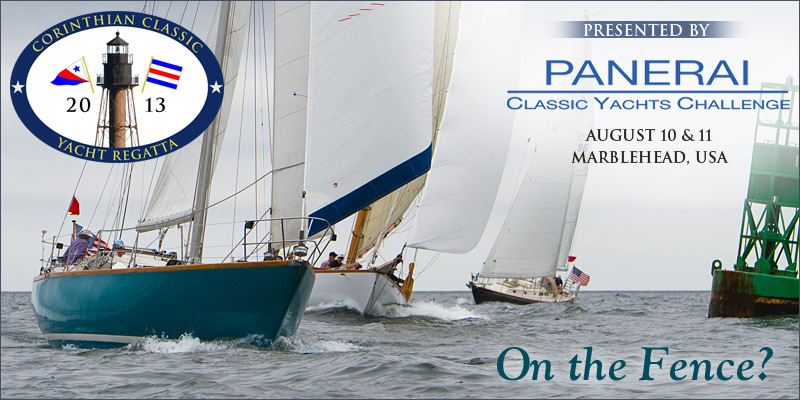 The Corinthian Classic Yacht Regatta - presented by Officine Panerai (www.panerai.com) - is less than a month away. www.corinthianclassic.org This year's Corinthian Classic will be held August 10 & 11 in Marblehead, MA and is open to any Classic vessel with a minimum waterline length of 22 feet. For those of you still "on the fence" about entering, we thought we'd give you some reasons to consider participating. This is the event you'll speak of for years to come, but you need to register now.